Photo exhibition "Asiago of yesteryear in the destruction and reconstruction"
How was Asiago and thePlateau at the time of the great war? 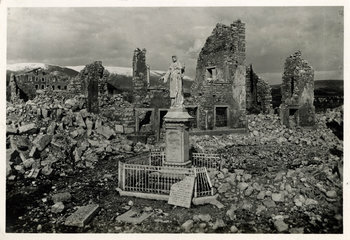 From 15 to 31 August 2016 find out with the exhibition "Asiago of yesteryear in the destruction and reconstruction," a touching photography exhibition that gathers the strongest images made at the time of the great war during and after the bombing. A moment to remember the tough past times and see how it is reborn thePlateau during the path of reconstruction. For info please contact the headquarters of the Pro Loco di Canove pressing below.